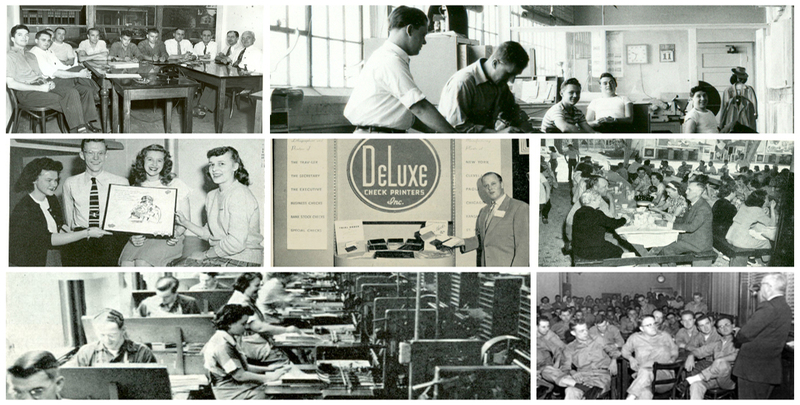 Deluxe is perfectly positioned for growth and expansion as we head into our next 100 years, and that’s because of our dedicated employees. The people who work here are the heart and soul of our business and have contributed greatly to the transformation story we’ve been writing together. Interested in learning more about what it’s like to be a part of the Deluxe team? Click below to hear firsthand stories from employees who joined us during our centennial anniversary in 2015, including their experiences as a candidate and new Deluxe hire. Sue, from Human Resources, talks about her time thus far at Deluxe. Hamza, from the Talent Acquisition Team, talks about his time thus far at Deluxe. Heidi, from Human Resources, talks about her time thus far at Deluxe. Mark, from Inside Sales, talks about his time thus far at Deluxe. New employees write about their time thus far at Deluxe.